Blind author and political activist Helen Keller once said "The best and most beautiful things in the world cannot be seen or even touched - they must be felt with the heart. ", those words ring true for international reggae recording artist Taffari. Known for such hits as "Addicted to Music" and "Breakdown Babylon" among an impressive roster, the Singing Bird has found success by singing from his soul, while relating of his life experiences. In what is perhaps his more poignant experience to date, Taffari shares his personal experience and revelations with "Life's Changes". The song produced by Boris "Taffari" Silvera, Anthony 'Al" Graham & Danny Pepperseed is voiced on the Vibrations Riddim, originally composed by Peter Tosh for his hit song ‘Rastafari Is’ and re- played by Kirk Bennett (drums) Mitchum Chin (guitar) Paul Crossdale (keyboard) Donald Dennis (bass). Speaking of "Life Changes", the soulful singer shared " This song is really about letting go of the things that's killing you, letting go of the things that's sucking your energy, anything that's taking you away from yourself...". He continued "This is personal for me, its about me, for a year I experienced some personal things that I couldn't deal with, I went to mountains to find myself, understand myself, I was holding on to negative things, you attach to many things that are not real, life changes is about things i experienced in those times". He further added "This experience helped me to understand myself, and people around me, even to understand my actions, this experience took me to the core, of a new beginning, a different me that i never experienced. I am still learning and growing, i give thanks for life lesson, if i can sing and touch the heart of people going through challenges then it is good, I can pass on and sing on my experience". Produced by Sovereign Music / World A Reggae Entertainment "Life's Changes" is available in all digital stores including iTunes. One of the Jamaican artistes that is contributing to the genre of Reggae music is Boris Anthony Silvera, more popularly known as Taffari. His first alias Singing Bird described his sound perfectly, however he changed it to Taffari which he believed better emulates his seriousness about his music and the messages that he brings across to his audience. This inspirational singer was born in the parish of St. Mary in a district called Bagnold Spring, on the 8th day of March. Taffari captured the vision that he wanted for his life from the tender age of 14. From that time onward his focus has been on music. Through persistence and dedication, Taffari recorded his first song, ‘Nice Girl’ in 1988, a combination between him and a singer called Lanny, who was also the producer for that song. Following this, he did a remake of Mille Small’s ‘My Boy Lollipop’ for producer Phillip ‘Fattis’ Burrel owner of the Xterminator label. This song was recorded by Syl Gordon at Gussie Clarke’s Music Works Studio. He also recorded for other producers such as Mikey Magic, Impact from New York, Super Blast and policeman Isaiah Laing. However some of these songs were never released. 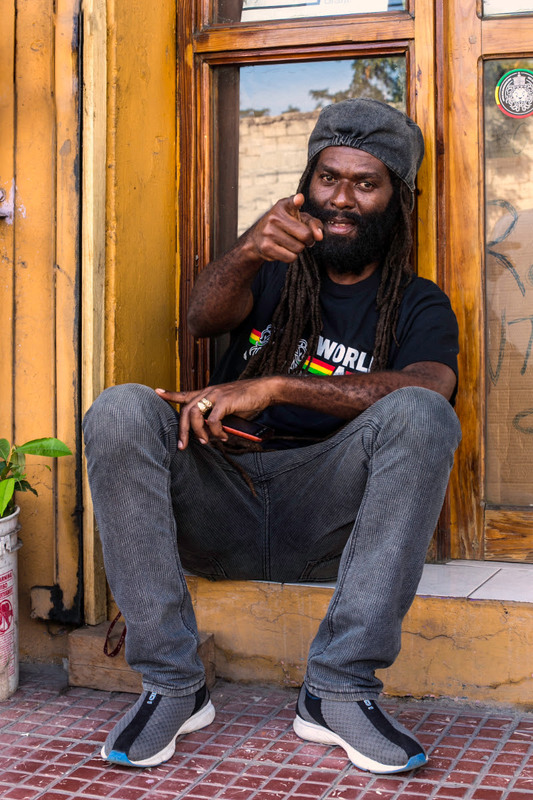 Taffari then took a break to focus on writing new songs and in 1997, he recorded the song ‘Take I Away (Eastern Side)’ on a remake of Dennis Brown’s ‘Tribulation’ rhythm, that was recorded by Syl Gordon. At this point Taffari was now recording songs for the legendary engineer Cedrica ‘Soljie’ Hamilton, Firehouse Crew, the New York based J&D, Mighty music, Ovadose productions, Roaring Lion and Chris Records. Taffari’s eventually crossed the borders of Jamaica to other sections of the world including Germany, Holland, Italy, Switzerland, Belgium, Austria, Denmark, Finland, Sweden, Trinidad and Tobago and others. The lyrics of his music are to help persons overcome spiritual obstacles that they encounter on a daily basis. The words of his songs speak to the soul and lift the spirit. When Taffari decides to sing a song, he delivers it from his soul with true emotions and positive and uplifting messages. He also collaborated with various artistes such as Luciano, Junior Kelly, Lutan Fyah, Anthony B, Turbulance, Gentleman and a few others. In 2004 he released his first album ‘Addicted to music’ that was produced by ALTAFAAN records, a label which he is a member of. Following this he released several singles for the likes of the German based label Silly Walks Movement , Pow Pow label from Germany and others. He also recorded songs for producers such as Energy (Richie B’s label), Cell Block, 321 Strong ( owned by Syl Gordon) and Soljie Hamilton. In 2006 he took another break from the music which marked the genesis of his spiritual rebirth. During this time he reviewed his past so as to analyze his weaknesses , to capitalize on his strength and to identify his threats as well as his opportunities. Having reviewed the past he has resurrected. 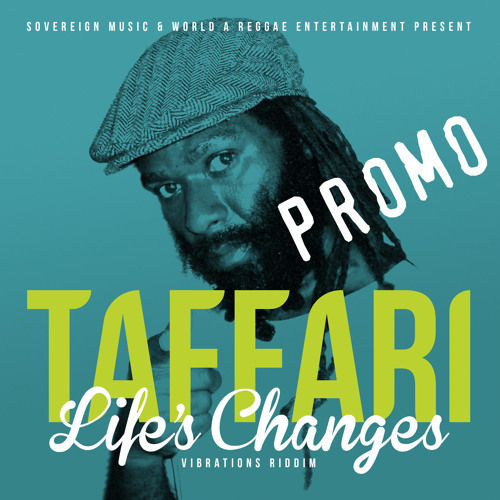 Now in 2015 Taffari is back in the studio recording new tracks, together with World A Reggae, the first released track is called “Life’s Changes” on the Vibrations Riddim, and dropped May 10, 2015.